We are taught to avoid the opponent’s dreaded discovered-check almost from day one of us learning to play the game. And with good reason: who amongst my readers has not yet demonstrated in his own games just how lethal the discovered-check can be? Sometimes, however, in the heat of battle, circumstances are such that we can not avoid our opponent having his discovered-check. The trick you must then learn is how to courageously survive this nasty check. Witness the following two remarkable examples from grandmaster chess where not only does one escape from the feared discovered-check, but one also goes on and wins! This next example is even more incredible! Played at the Candidates Tournament of Montpellier 1985, this game features both players simultaneously threatening discovered checks! A very curious position! Both sides have discovered checks threatened. But the most fascinating part is that even though White is a piece up and has the move, his discovered check can do absolutely no damage to Black, whose coming discovered check is LETHAL and will win the game in just a few moves. 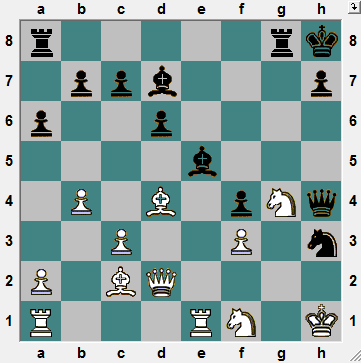 For exemple, if now 28.Re8+ Ne5+ 29.RxR+ RxR+ with a winning attck. Or if instead 28.Rg5+ Ne5! 29.Rg6!? Bh3+ 30.Kg1 Rxg6+ 31.Bxg6 Rg8 etc. 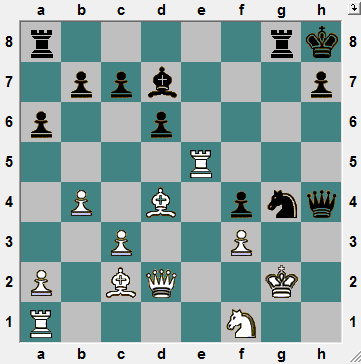 OR if 28.fxg4 Qxg4+ 29.Kf2 Qh4+! is crushing . Finally, 28.Rh5+ Ne5+ is curtains. Sokolov was right to avoid this line. 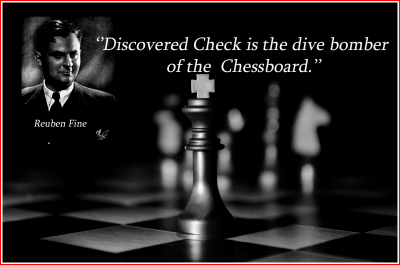 CONCLUSION: not all discovered checks lead to the bank! Previous story Today’s Winning Eyes!